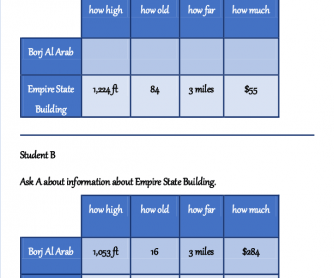 This file includes the information of two famous places, Borj Al Arab and Empire State Building. 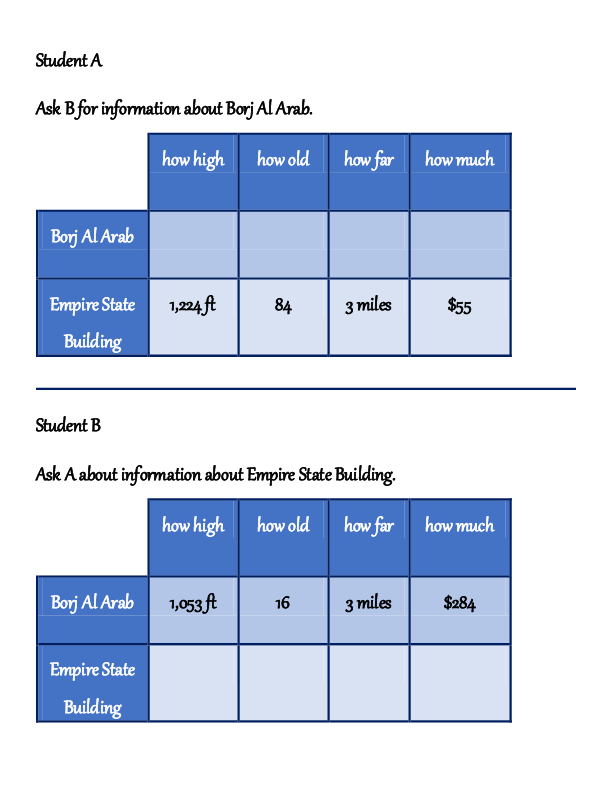 Put the students into pairs and encourage your them to make questions with how far, how high, how old, and how much. They take turns to be A and B. Hope it helps!